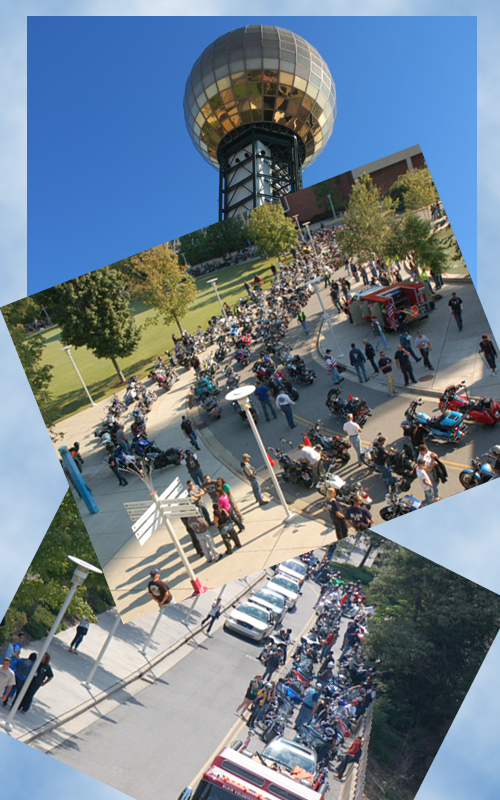 Con was honored to once again be among guests invited to participate in Knoxville's 9-11 Remembrance Ride. 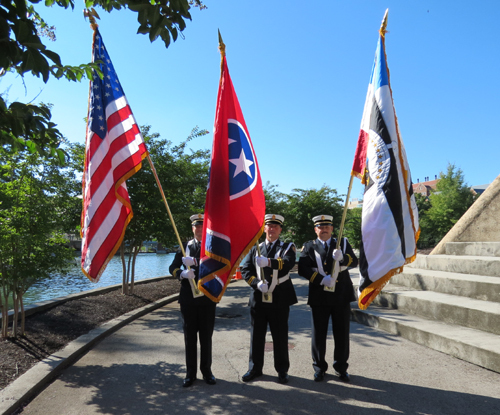 by the Knoxville Chapters of the Blue Knights and Red Knights, with a special Ceremony honoring the heroes and victims involved in the tragic events of September 11, 2001. 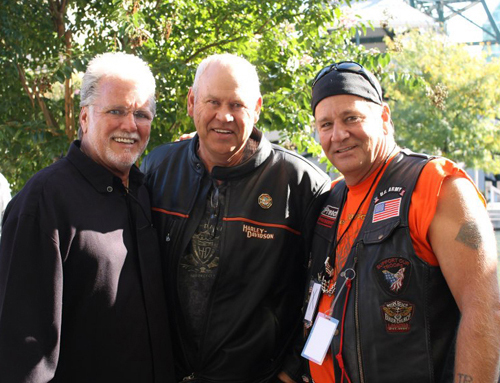 Former University of Tennessee Football Coach Phillip Fulmer was also invited to participate in this years Ceremony and Ride. Con is pictured here with Coach Fulmer, center, and Rev. Morgan Clough, right. The Color Guard prepares to open the Ceremony with the Presentation of the Flags. 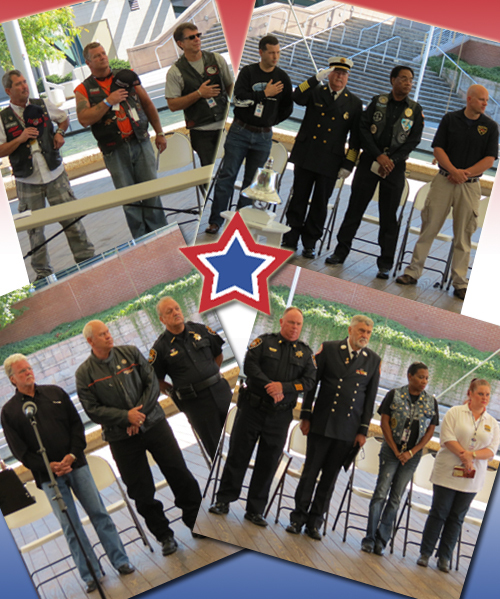 Speakers and distinguished guests stand as the Colors are presented. 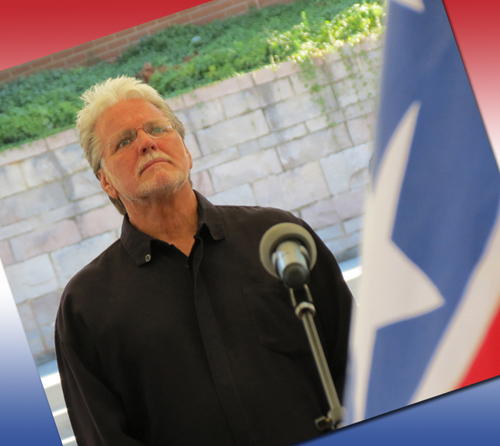 You can watch this performance of Con singing our National Anthem on YouTube by clicking here. 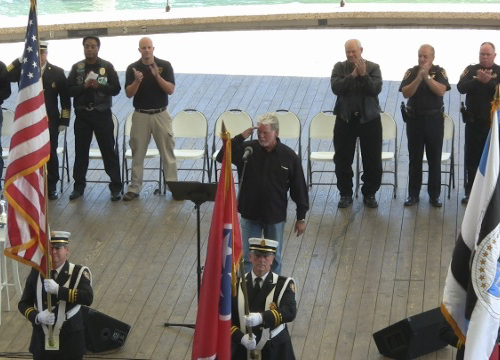 The crowd gives a rousing ovation as Con finishes the song and salutes our flag. 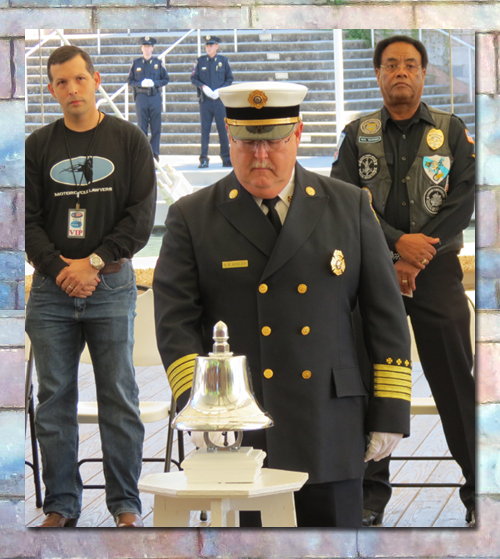 Darryl Kerley rang a bell twice, commemorating the exact moment each of the two towers fell on 9-11.